Family Concert: Perhaps you can solve the crime! Everyone seems to have a motive, everyone has an alibi...and nearly everyone is a musical instrument! 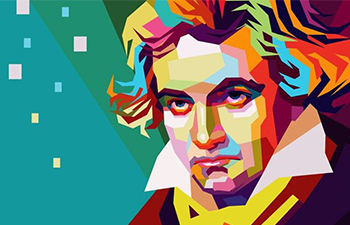 Family Concert: For his 250th birthday, the whole family is invited to learn all about the life and music of composer Ludwig van Beethoven! Family Concert: A journey across America, in search of (musical) gold...California, here we come! Main Front Center: $32.00 - $96.00 Only 7 remaining! Main Aisle Right: $32.00 - $96.00 Only 6 remaining! Main Upclose: $32.00 - $48.00 Only 5 remaining! Main Upclose ADA: $32.00 - $48.00 Only 4 remaining! Grand Tier Center: $32.00 - $96.00 Sold Out! Grand Tier Right: $32.00 - $48.00 Sold Out! Grand Tier Left: $32.00 - $48.00 Sold Out! Grand Tier ADA: $32.00 - $48.00 Sold Out! Your package seat locations will be assigned once the seating process has begun, and returning subscribers are seated. New subscriptions will then be seated in the order they were received. If you have any special requests regarding your seat assignments, please enter them below. Otherwise, every effort will be made to seat you in the best available seats in your requested section.